California voters passed a ballot measure to legalize the recreational use of marijuana, giving a big boost to the campaign to end the drug's national prohibition. A preliminary exit poll conducted for The Associated Press and television networks by Edison Research found Proposition 64 passing by a wide margin. Adults older than 21 years old can legally possess up to an ounce of marijuana and grow six plants. California was one of five states where votes were considering the legalization of recreational marijuana Tuesday. 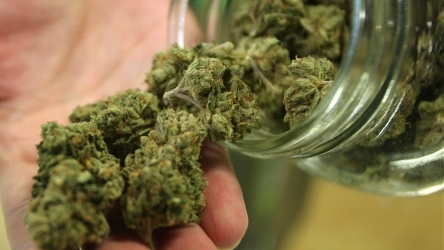 Four other states were considering measures to legalize medicinal marijuana. So far, voters in Florida and North Dakota have also passed marijuana measures Tuesday. Collectively, it's the closest the U.S. has ever come to a national referendum on marijuana.